I’m going to take some time off from blogging and enjoy the fall weather while I sort out my physical, mental, emotional, and spiritual challenges. A bad case of what can only be called ADD has consumed my waking hours (of which there’ve been many in the last week), and I’ve not been able to concentrate long enough to read more than 2o pages of the Gale Storm book I was so looking forward to reading and blogging on. (Her story is amazing, especially for anyone who’s struggled with alcoholism.) I’m also pulling out all the stops to overcome the knee pain that’s overtaken my life, though I now have a newfound empathy for those dealing with chronic pain. I’m still doing the AA thing and have been blessed to find a great group that I really, truly feel connected with. 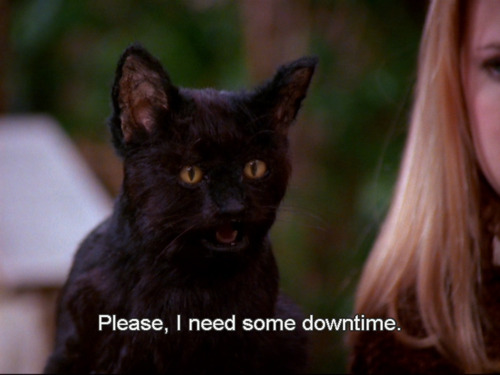 So no complaints here; I just need some downtime (like Salem the robot cat), and the last thing I need right now is self-imposed pressure to blog about whatever ramblings are whirring around in my head. And believe me, the whir is steady and unforgiving! I want to leave my readers with this link: http://www.intouch.org/broadcast/audio-archives By sheer chance, I caught Charles Stanley’s 9.26 message entitled “The Blessings of Our Inadequacy” on my local Christian radio station. It was a two-part message, so I listened to the second part via the link above. My life has been renewed and changed due to this two-part message. If you have time and can afford to not be distracted for one or both 20-minute messages, you’ll be infinitely inspired. On that note, I’m off to enjoy some more peace and quiet before church. God is good. All. The. Time. Take the time to let Him speak to you about what you might need to put on hold and/or work on in your life, with His help. You’ll be glad you did.